NASA astronaut Shane Kimbrough, and his crewmates Sergey Ryzhikov and Andrey Borisenko of Roscosmos, are scheduled to return to Earth on Monday, April 10 at 7:21 a.m. EDT (5:21 p.m. Kazakhstan time). The trio will land in their Soyuz MS-02 spacecraft southeast of the remote town of Dzhezkazgan in Kazakhstan. Hatch closure is scheduled for 12:40 a.m. tomorrow. NASA Television coverage will begin at 12:15 a.m. Together, the Expedition 50 crew members contributed to hundreds of experiments in biology, biotechnology, physical science and Earth science during their 171-day stay aboard the orbiting laboratory. In all, the departing trio will have spent 173 days in space since their launch from the Baikonur Cosmodrome in Kazakhstan Oct. 19 last year. Earlier today, Kimbrough handed over the command of station to NASA astronaut Peggy Whitson. When the spacecraft undocks from station tomorrow, Expedition 51 will formally begin. NASA Television coverage of Soyuz activities April 10 are listed below. Watch live on NASA’s website. Follow @space_station on Twitter for updates. For more information about the International Space Station, visit www.nasa.gov/station. To subscribe or unsubscribe from this list, please email heo-pao@lists.nasa.gov. 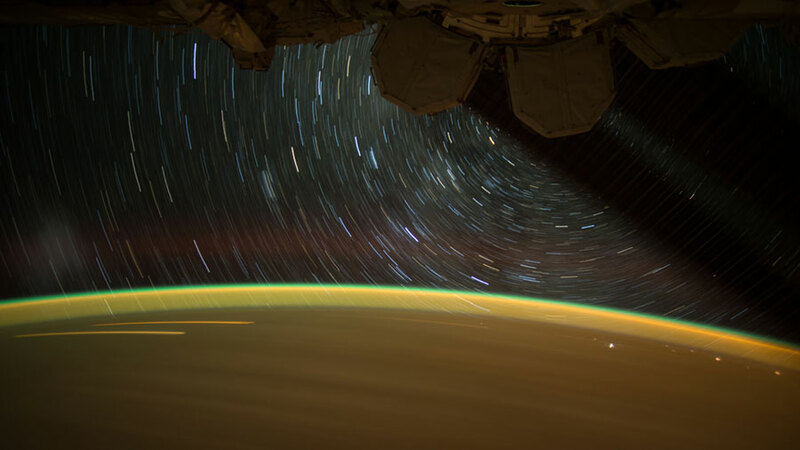 This long exposure photograph shows the Earth, its atmospheric glow and stars from the International Space Station. Two NASA astronauts and a European Space Agency astronaut headed into the weekend with a light day Friday. Meanwhile, the three cosmonauts from Roscosmos packed a Soyuz spacecraft for departure and worked on maintenance and science. Commander Shane Kimbrough, who is returning to Earth early Monday, took it easy Friday aboard the International Space Station. He and Flight Engineers Peggy Whitson and Thomas Pesquet mainly performed light duty tasks and continued their daily exercise to stay healthy in space. Cosmonauts Sergey Ryzhikov and Andrey Borisenko, who are returning home Monday with Kimbrough, continued packing the Soyuz MS-02 spacecraft that will parachute the trio to a landing in Kazakhstan after a 173 days in space. Whitson will become station commander for the second time in her career Sunday less than 24 hours before her crewmates undock from the Poisk module. She stays behind with fellow Expedition 50-51 crew members Pesquet and Flight Engineer Oleg Novitskiy. 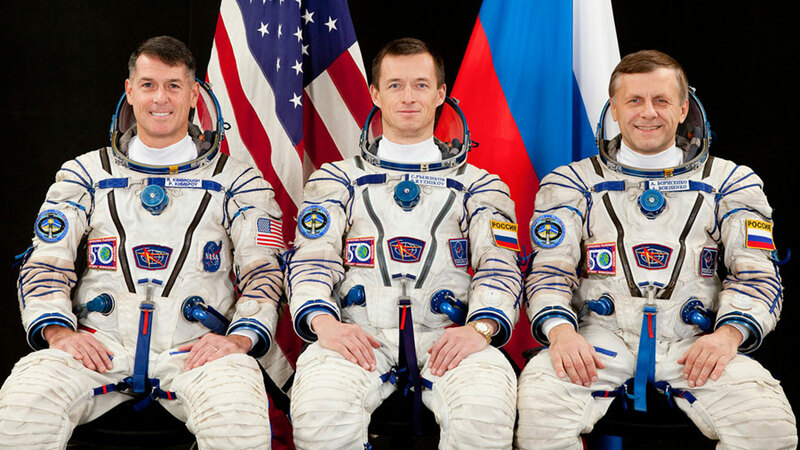 Expedition 50 crew members (from left) Shane Kimbrough, Sergey Ryzhikov and Andrey Borisenko will depart the station Monday April 10 ending their stay in space. Three crew members aboard the International Space Station are packing up their gear for a homecoming on Monday. 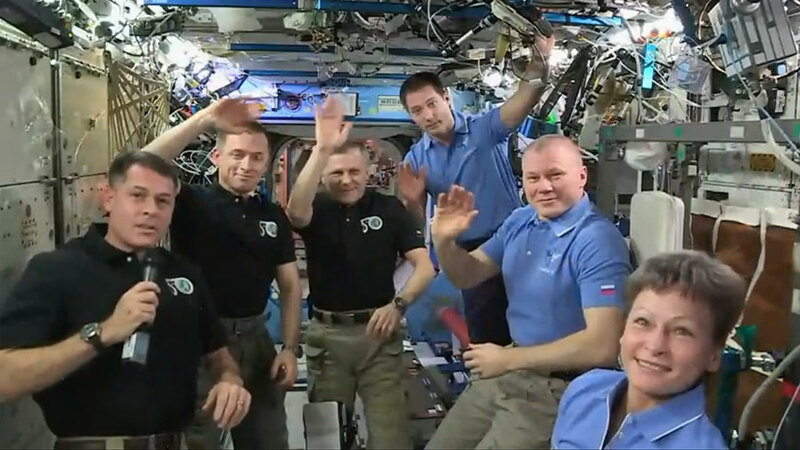 NASA also decided to extend the mission of an astronaut living aboard the station since November. Two cosmonauts and a NASA astronaut will take a ride back to Earth early Monday inside the Soyuz MS-02 spacecraft. Commander Shane Kimbrough and Flight Engineers Sergey Ryzhikov and Andrey Borisenko will have completed a 173-day mission in space when they land Monday at 7:21 a.m. EDT in Kazakhstan. NASA TV will broadcast the departure and landing activities live. Kimbrough has accumulated six spacewalks over two missions, including the STS-126 mission aboard space shuttle Endeavour in 2008. Ryzhikov, who is on his first space mission, will be commanding the Soyuz spacecraft during its landing. Borisenko was last aboard the station in 2011 and is completing his second stint as a station crew member. Flight Engineer Peggy Whitson has been granted a three-month extension to her already record-breaking career aboard the station. She will stay in space until September as a member of Expeditions 50, 51 and 52. NASA managers wanted to ensure the station maintained a six-person crew to maximize research while Russia temporarily reduces its crew to two cosmonauts. 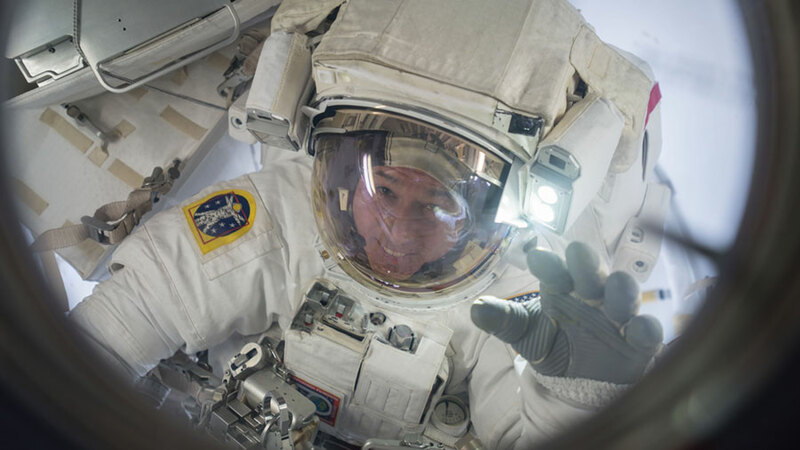 Astronaut Shane Kimbrough is seen inside the Quest airlock at the end of a spacewalk on March 24, 2017. The Expedition 50 crew is checking out U.S. spacesuits today and testing tiny internal satellites for research. Three crew members are also packing up for a ride back to Earth on Monday. Commander Shane Kimbrough worked on a pair of spacesuits today following the completion of two spacewalks last month. He sampled and tested the cooling water that flows through the suits to keep astronauts cool in the extreme environment of outer space. Flight Engineer Peggy Whitson conducted test runs of the SPHERES satellites today to demonstrate autonomous docking maneuvers. The bowling ball-sized miniature satellites (also known as Synchronized Position Hold, Engage, Reorient, Experimental Satellites) have been used for a variety of purposes including student algorithm competitions and fluid physics. Kimbrough is winding down his stay in space with cosmonauts Sergey Ryzhikov and Andrey Borisenko. The trio this week is packing the Soyuz MS-02 spacecraft with science samples, personal items and other cargo for a landing in Kazakhstan after 173 days in space. NASA TV will broadcast the crew departure activities live with landing scheduled for Monday at 7:20 a.m. EDT.